Mum, 45, goes to hospital in pain; finds out she's pregnant - AND in labour! Imagine this – you’ve got two adult kids, have recently lost weight, are in great shape and then suddenly you go into labour. No wonder 45-year-old Beth Clay thought it was just kidney stones! Instead it was her third child, a little baby boy called Liam who clearly has already mastered the game of ‘hide and seek’. It sounds like a movie but excruciating abdominal pains last month were the first sign that something was up for Beth Clay from Venice, Los Angeles. She suspected kidney stones but shortly after arriving at the hospital discovered she was actually in labour with her third child. GASP! Shortly afterwards little Liam Ryder Clay entered the world, and although he spent a few days in the intensive care unit, he’s now completely healthy and thriving. Phew! Beth and her husband Scott already have two adult children and were completely shocked by the news, as you would be! 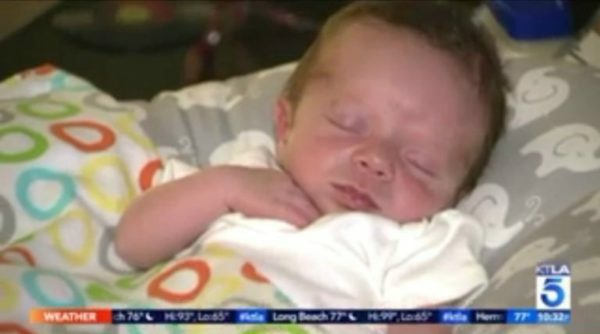 According to KTLA, over the last nine months the new mum had actually been on a health kick where she exercised daily, stuck to a strict diet and ended up losing almost seven kilos. She even went on a long bike ride just days before her unexpected delivery! “I was like, ‘That just can’t be real.’ It’s all contrived, never could happen. 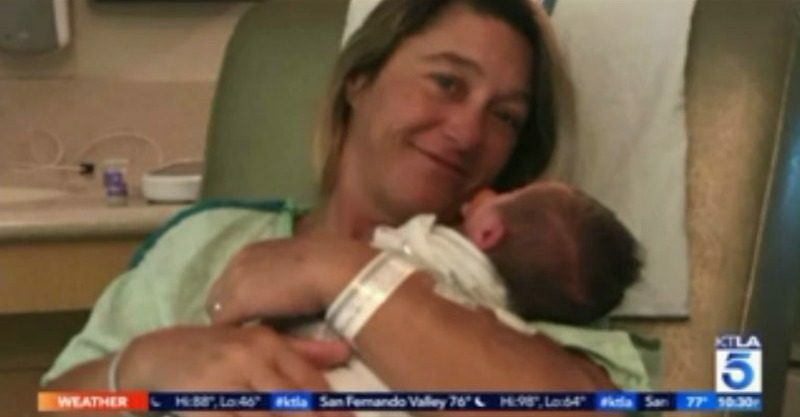 You would know if there was a baby in your belly, but we’re living proof,” said shocked papa Scott to KTLA. It’s hard to believe these stories about women not knowing they’re pregnant, especially when so many of us REALLY feel and look it, but apparently Beth had absolutely no baby bump whatsoever and never even felt the baby kick. WHAT THE?! Given her age she probably didn’t question her lack of period either. Turns out there was a reason baby Liam (or maybe we should call him Houdini) went undetected. At 45 and 51, with two fully grown children already, Beth and Scott Clay never imagined they would be back in the land of nappies and sleepless nights. Amazingly this was also the first labour (!) for the mum of three, previously having caesareans with her other children. Apparently the stunned couple are thrilled to once again be parents to a newborn, but admit it was a gigantic shock for not just them but the whole family. Darn right it’s huge! Good thing babies are cute and awesome. Do you think you’d know if you were pregnant? How would you cope with a surprise baby? !